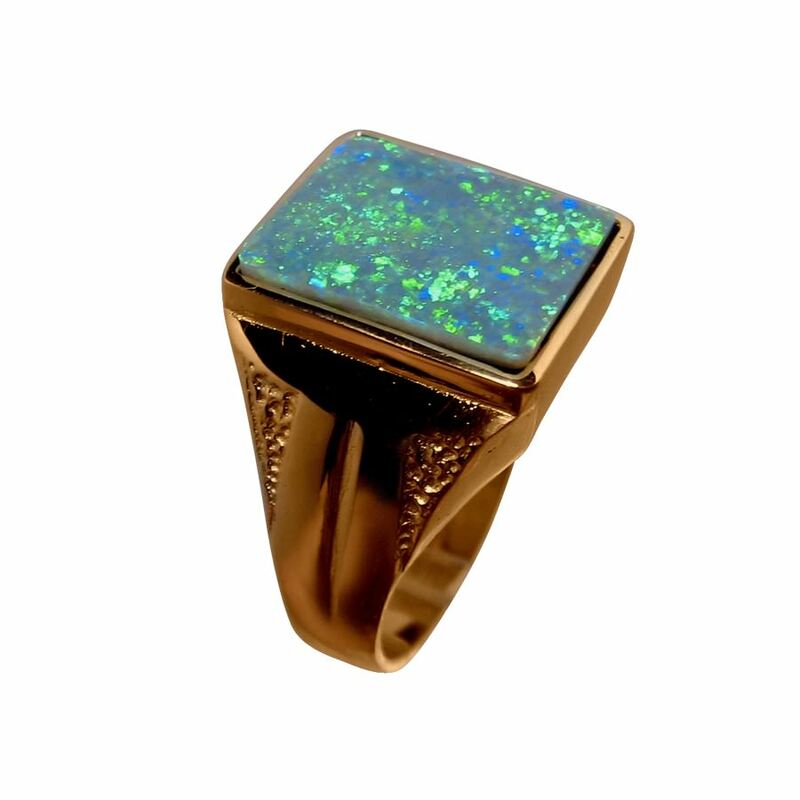 A mens Black Opal ring in 14k Gold with a very wide detailed band set with one rectangle Green Black Opal. 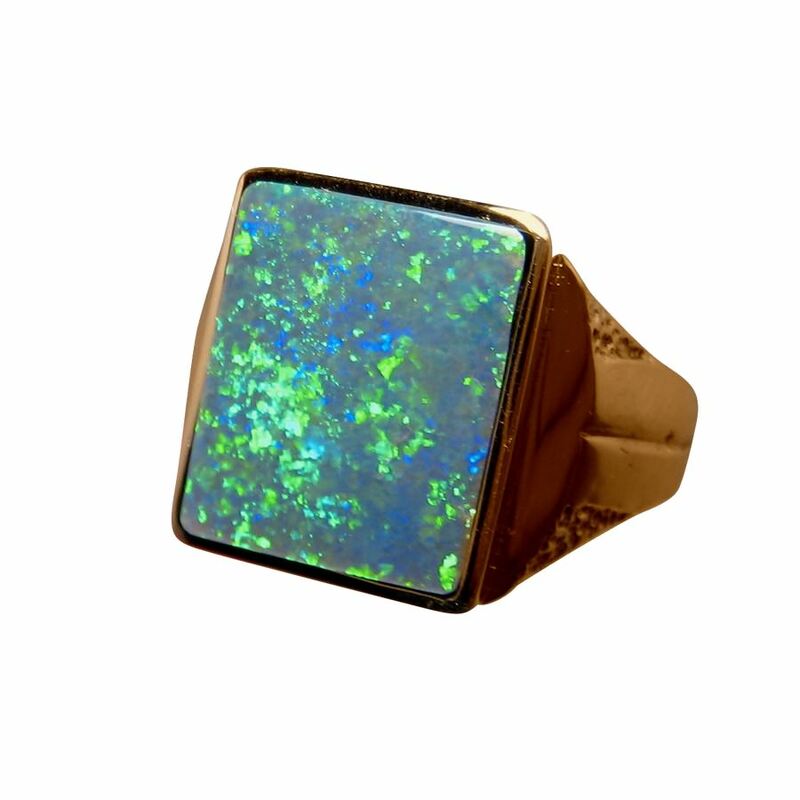 A Black Opal ring for men that is masculine, stylish and substantial. 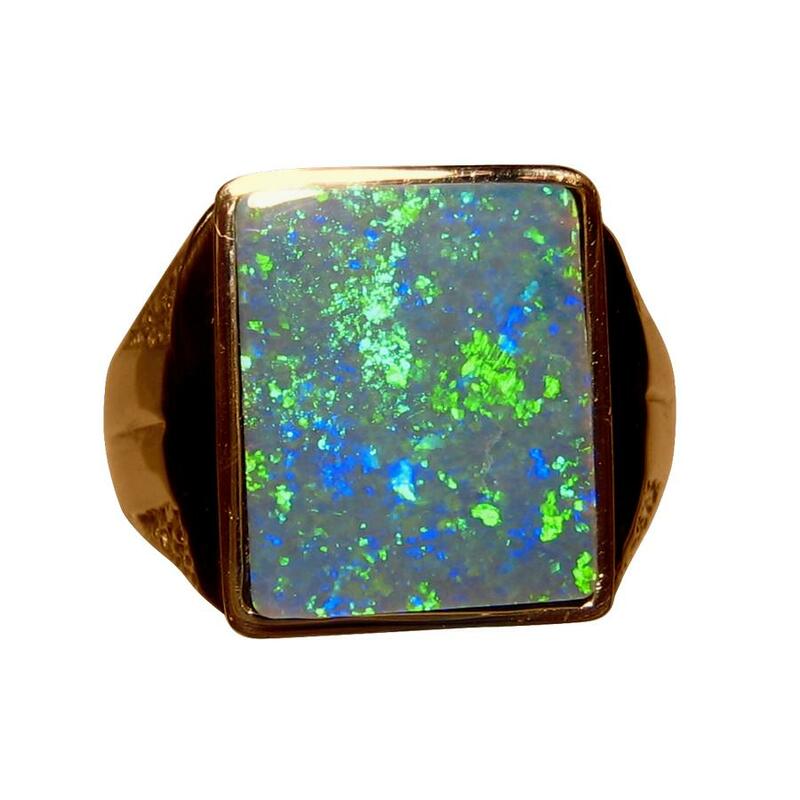 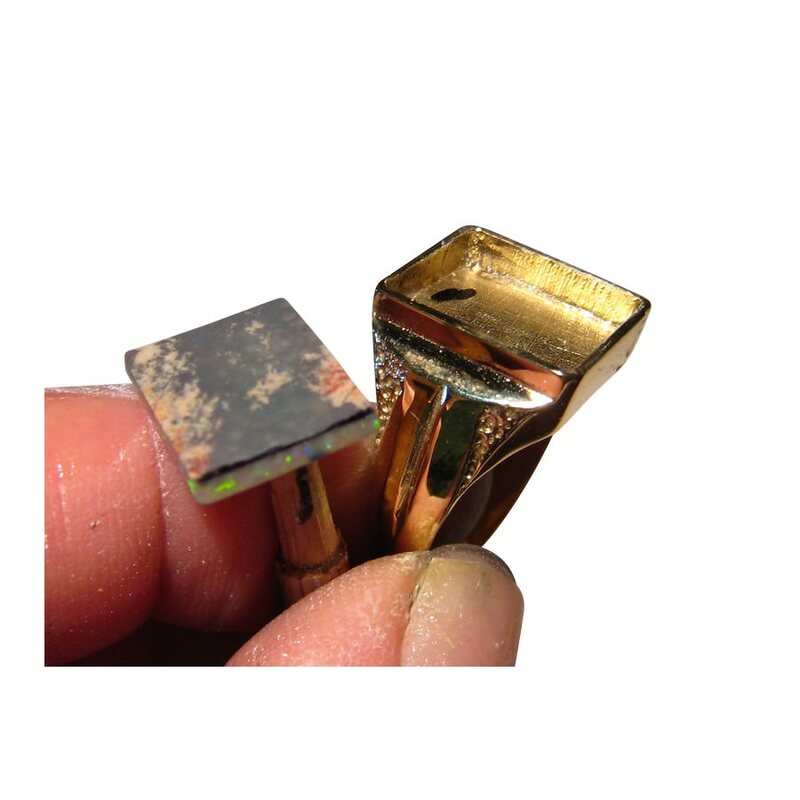 Shown in a 14k Yellow Gold setting with details on the wide band, the rectangle Opal weighs just over 3 carats and displays very bright Lime Green with a little Blue in a Pin Fire play of color you will see in the video below. 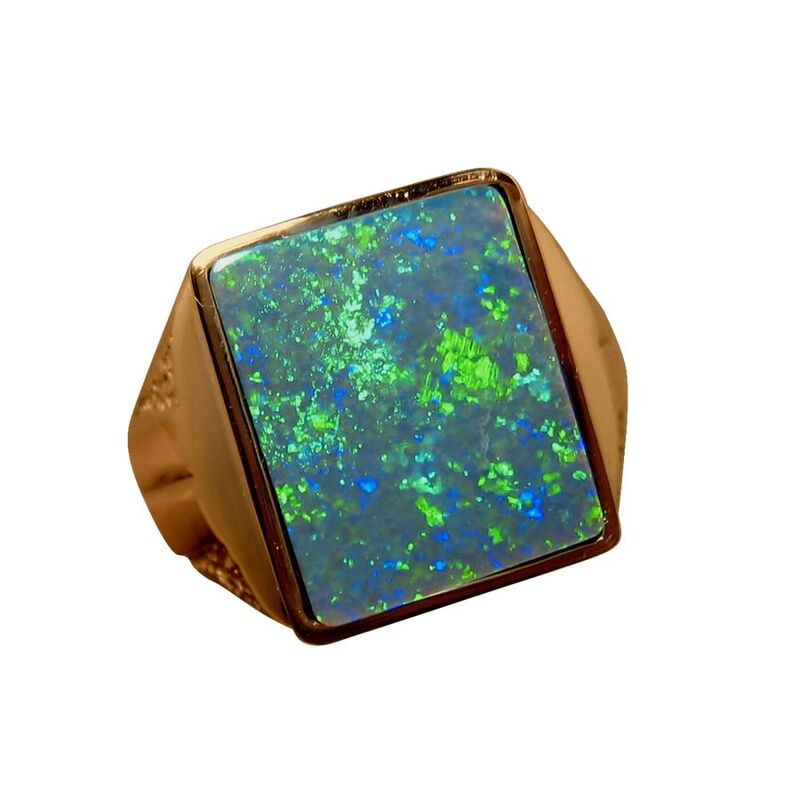 The ring itself weighs 11 grams of 14k Gold and with the large bright Opal, the ring will be noticed when worn. 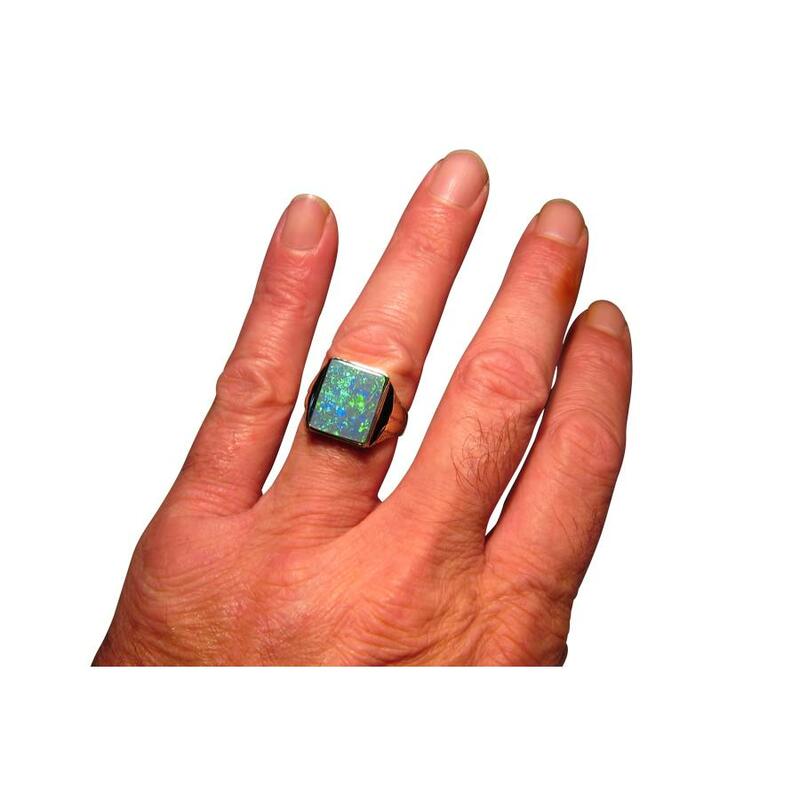 This is a quality mens Opal ring that is ready to ship now as detailed below or will take about 7 days for White or Rose Gold or any other ring size..